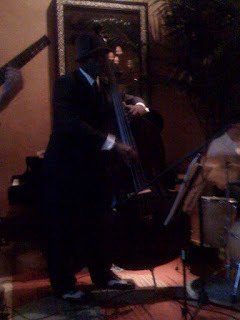 Music blog by Noriyuki "Ken" Okada, a jazz bassist in San Jose, California. 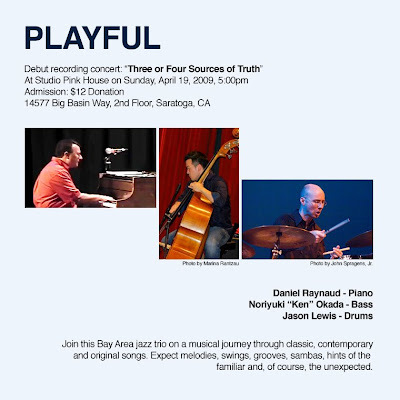 Concert on 4/19 with Daniel Raynaud and Jason Lewis! I'll be playing in a mini concert with fantastic piano player Daniel Raynaud and marvelous drummer Jason Lewis. Stop by at the cozy Studio Pink House in beautiful downtown Saratoga to spend a nice Sunday evening with jazz! Shebly's bass was so very cool!